March 27, 2018. This summer on the East Coast, West Coast, and Gulf Coast there is going to be flat spells and heat waves that make you question why you’ve chosen to tie yourself to surfing. However, at a couple of spots from Central California to Florida, there will be waves every day. There’s a lot of surf parks currently under development but there’s a handful already open and pumping out surf daily. Here you’ll find all of the surf parks in North America that you can surf this summer. The Place: NLand Surf Park is the creation of Doug Coors, of Coors Light. Doug is a surfer, brewer, and an engineer. What he along with Wavegarden have created encapsulates all three. NLand is the first surf park in North America to successfully offer a unique transferable experience to the ocean. The Park is stacked with microbrews, fine food, shopping and every surf amenity that you would expect at the beach in So Cal. The Wave & Height: The waves at NLand are powered by Wavegarden Technology creating a realistic out of ocean surfing experience. The Waves are generated by an underwater hydrofoil moving through the middle of the pool, pushing a left to one side and a right to the other. There are three sections. The “Reef Wave” runs the entire length of the pool and offers upwards of a 30-second ride. The “Bay Wave” is a bit slopier and runs out about half the length. The “Inside Wave” is a super mellow whitewater wave intended for children or just getting started. The wave breaks from 2-5 feet. How: NLand is open for the season as of March 10th. You can book a session via their website. Sessions range between $60 – $90 depending on the wave. Rates are also available for surf lessons and coaching. Extra: NLand is stacked with events this summer. Check out their live music performances and festivals here. Do you want to surf this summer and get barreled? Opening this April/May in Waco, Texas. The Place: Surrounded by wildlife in Waco their site is massive and host a handful of unique water activities – a massive water slide “Royal Flush”, a Lazy River, and a wakeboarding cable park. With the addition of their Surf Park by American Wave Machines, BSR has turned into a full-on surf resort. 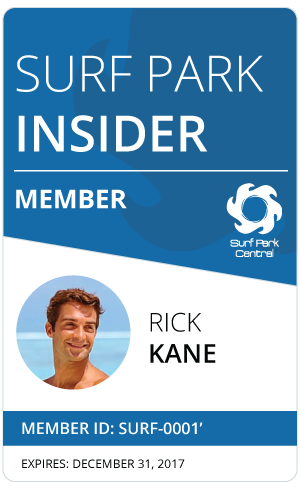 Offering accommodation, food, guided surfing, and interaction with real professional surfers. The Wave & Height: The swell generated by American Wave Machines PerfectSwell® InfiteOcean™ technology. They create circular particle motion waves that closely resemble ocean waves. Air chambers set in the back of the pool blast air at specifically timed and manipulated intervals giving them full control. The waves will break up to six-feet tall appearing much like the ocean in the respect of water movement and wave size. How: BSR’s wave pool is set to open this coming April/May. Sessions are priced by the hour: One Hour- $60 Four hours- $80 All day- $100. Private/group lessons are available as well as cabana rentals and surf coaching. You can book through their site here. Extra: Professional surfers Jamie O’ Brien and Chayne Magnussen are part of the AWM team. Check out how they’ve input their wave knowledge to AWM. If you’d like to surf this summer with Cheyne Magnussen, he’s the General Surf Manager at BSR. The Place: Located in the middle of Disney World the size is quite small but it offers a decent wave. The only place in the world where you could see Mickey Mouse while doing a cutback. The Wave & Height: Using “water drop” technology that drops water onto water the machine creates a lump of energy which then forms a decent wave. The wave is rideable and rippable and offers up two turn sections and if you can muster up the speed, an air section. The wave breaks from 2-6 feet. Extra: Ben Gravy of the “Nub Nation” came to Typhoon Lagoon to surf this summer. Ben is a pro surfer on a mission to surf every “novelty” wave in North America. Kelly Slater personally invited him to surf his ranch next season. The Place: The surf break is part of a water park located inside Alberta’s shopping mall. Surrounded by shopping, food and plenty of other entertainment. The Wave & Height: Light soft and playful, resembling a small day at your local beach. The swells created at this surf park are good for teaching children how to surf. The wave breaks about 1-3 feet. How: Join their “Surf Club”: 90-minute drop-in sessions Monday, Wednesday and Thursday evenings. Cost: $30 (plus GST) per drop-in session or $145 (plus GST) for a Six-Visit Punch Pass. Surf Lessons are also available $79 for 90 minutes. You can book through their website here. Extra: This isn’t the only surf park located in a shopping mall. Recently CityWave opened up in a shopping mall in Germany. 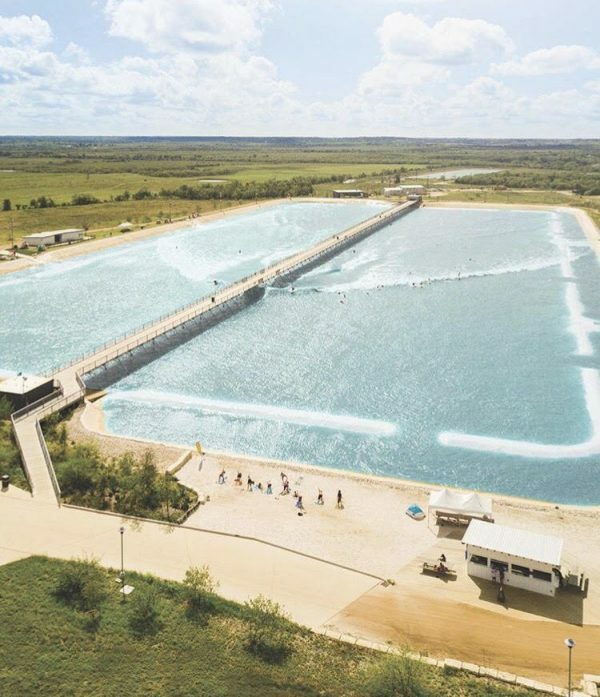 The Place: If you haven’t heard of Kelly’s wave pool, welcome to the future. KSWC creates waves from 100% solar and renewable energy. Brought to fruition by 11-time World Champ Kelly Slater then purchased by the World Surf League in order to hold professional surfing events. The set-up is designed like a WSL World tour stop (because it is). Joining the short list of those who’ve surfed the wave would be a once and a lifetime experience for most. The Waves & Height: A pitch-perfect, fast, barreling wave running upwards of 60-seconds going right and left. Designed with the intention of creating groundswell type waves. A wave foil passes through the water in between the right and left breaks making an ultra-fast, highly technical wave. The waves break at about 5-6 feet depending on how you look at it. The barrel is wide open. How: This location is not yet open to the general public, however Kelly along with the WSL have created a few donation-based opportunities to surf the wave. This May the WSL will hold a World Tour event- the Founders’ Cup of Surfing. Buy a ticket to the event and you get to surf the wave. Starting at $99 and ranging to $10,000 for the VIP Founders’ Cup treatment. Extra: KSWC is on the move. They’ve started a project to bring a surf ranch to Florida.